Come for a dip at Taco Beach ... 'Home of the original Babi Guling Taco!' where your vacation is on your plate. Unlimited salsa. Always fresh. Always free. Choose from spicy, marinated carne asada tacos like those sold at Tijuana's roadside stands to 'Chipotle-Glazed Salmon Nachos with Cream Cheese and Leafy Green Herbs' on Bali's only hand-pressed, genuine Nixtamil Mexican corn chips. Try original BaliMex fusion dishes, such as the savoury 'Babi Guling Taco' - chunks of roast suckling pig marinated in aromatic Balinese herbs and spices, and topped with homemade sour crema and your choice of fresh salsa. Choice of original zesty salsas, like Mango-Lime, Tomatillo-Cilantro, Papaya-Pineapple, Chipotle Chile, Roasted Corn and Bean, Pico De Gallo, Roasted Red Pepper Guacamole. 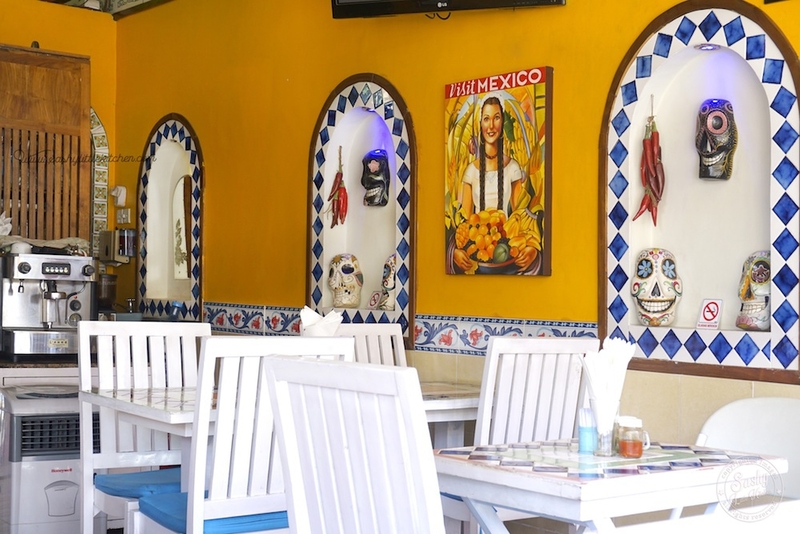 Mexican favourites and Taco Beach originals in vibrant, colourful mixes of flavour and aroma.